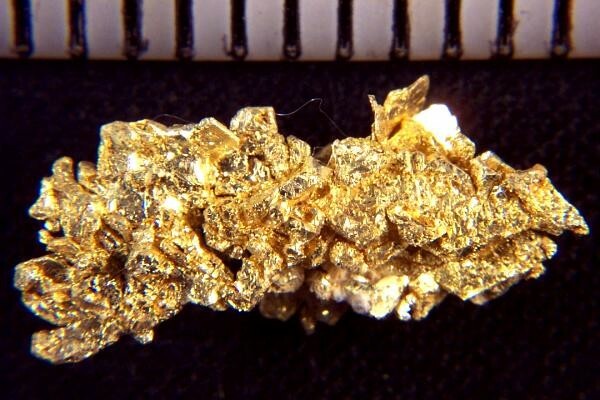 This is another gorgeous Gold Specimen from the Round Mountain Mine. 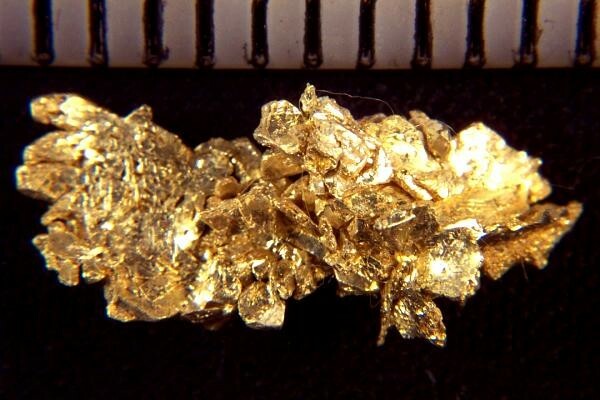 It has a bunch of small well defined gold crystals, including some octahedrons and trigons. How often do you see such a great selection of rare and unique gold specimen for sale? This beautiful gold specimen is 5/8" long (16 mm), it weighs 12.6 Grains (0.82 Gram), and comes displayed in a round plastic gem jar.